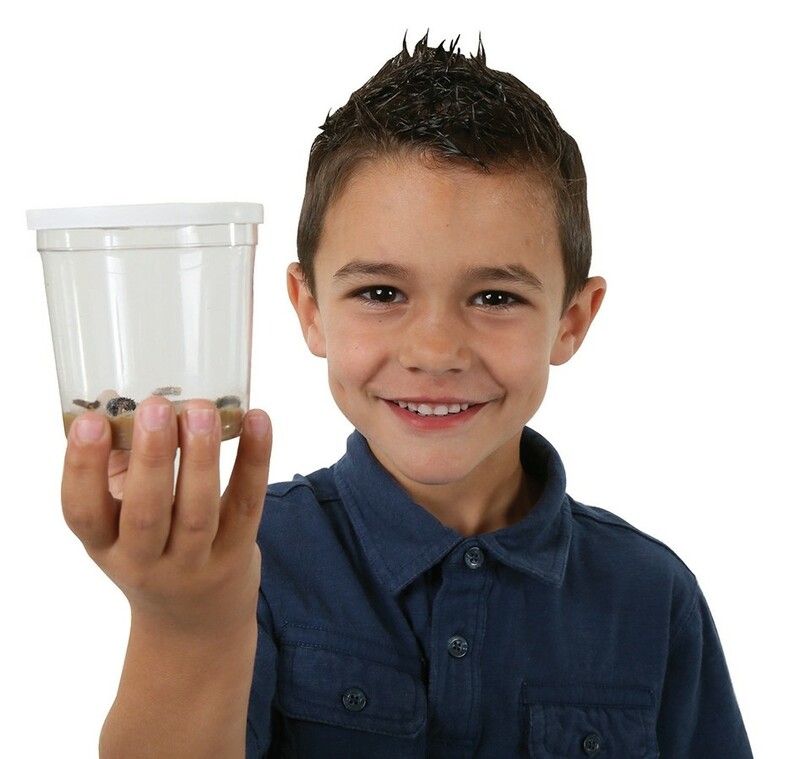 A cup of 3-5 caterpillars with all the nutritious food they need to grow into lovable Painted Lady Butterflies. 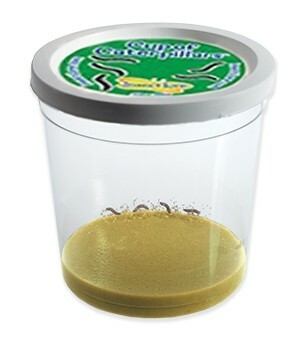 The Cup of Caterpillars is also known as a "live butterfly culture". 3 caterpillars are guaranteed to develop into perfect specimens. The Caterpillar Quick Guide. This is a brief overview to get you started. 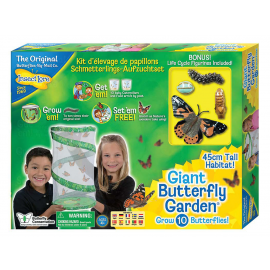 For in-depth instructions regarding caterpillar and butterfly care please see our Live Butterfly Garden Instructions. 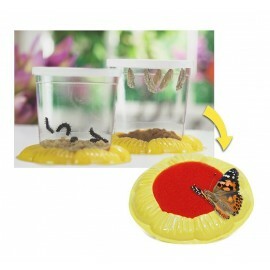 Please note: This product is a REFILL and includes a clear cup with caterpillars and food ONLY. Be sure to provide a habitat in which your butterflies will emerge. 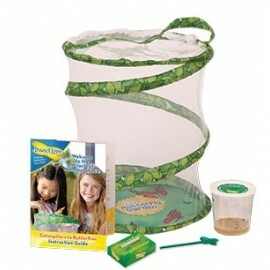 We cannot do next day delivery for this item as caterpillars are sent on Tuesdays and Fridays only. NEXT DAY DELIVERY is not available for this item. Caterpillars sent March - mid September. *If only ordering this one item, postage will be at a reduced rate of £2.99 instead of our standard shipping charge of £4.95. Please choose the reduced rate during check out.